Hello birders young and not so young. The birding stroll we announced for last weekend did not go, as Wolf Laurel didn’t give us access due to power outages they were dealing with. So we are announcing a rescheduled birding stroll for Saturday, September 23 on Big Bald over near Wolf Laurel. Steve Buettner will be the stroll leader. We will be looking for all species, but hope to catch a kettle of migrating hawks. The Yancey van will leave Town Square at 8:30. Please bring a $5.00 donation to help pay for your ride. Due to issues with access to the site we wish to use we have to postpone the birding stroll for a week. Sorry for the change in plans. Details will be available soon. 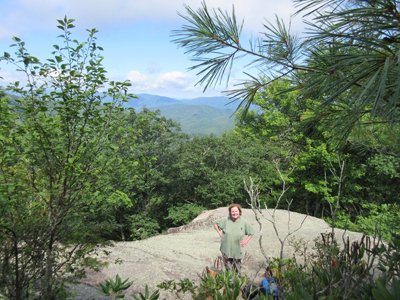 Join the NC High Peaks Trail Association on Sept. 9 in a statewide celebration of the 40th Anniversary of the Mountains-to-Sea Trail as the club leads a pleasant hike over an historic section of this famous trail. Extend your summer of fun by joining the NC High Peaks Trail Association for either of two hikes on the Appalachian Trail on Saturday, September 2. This hike was originally scheduled in August but was postponed due to inclement weather. 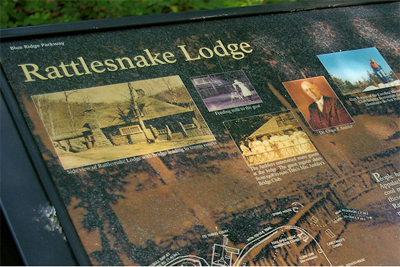 The more challenging hike will travel 11.2 miles from Erwin, TN to Spivey Gap. This extremely strenuous hike is only for very fit, experienced hikers. It will include a 2,000-foot climb but will offer spectacular views into the Nolichucky River Gorge. 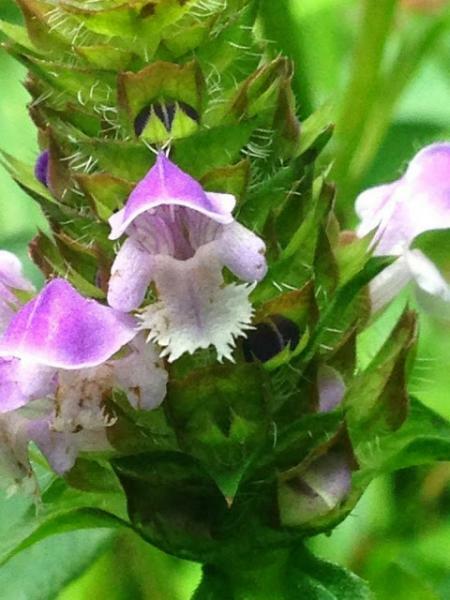 Photo caption: Participants will learn the medicinal qualities of plants like this, called Self Heal, at an Aug. 26 educational walk at Cane River Park sponsored by High Peaks. Registration is CLOSED. The response has been overwhelming! Sorry we cannot accept any more participants. Please join the High Peaks board members this Thursday for our regular Board meeting. Have a cup of coffee with us at Appalachian Java while we discuss hiking plans, results from the Mt. Mitchell Craft Fair, the conclusion of our first RTP project on the Mt. Mitchell trail and other issues. Meeting begins at 9 am. Hope to see you there! Due to the threst of thunderstorms we have decided to cancel today's hike. No "rain date" at this time. No Camping on the Black Mountain Crest Trail Due to Bear Activity! NO CAMPING on the Black Mountain Crest Trail until further notice! The Superintendent at Mt. Mitchell State Park has prohibited camping on this trail due to persistent bear activity at Deep Gap. Hiking is still allowed but be sure to take precautions when in bear country! Read more about No Camping on the Black Mountain Crest Trail Due to Bear Activity! Keep your summer full of fun by joining the NC High Peaks Trail Association for either of two hikes on the Appalachian Trail on Aug. 12.